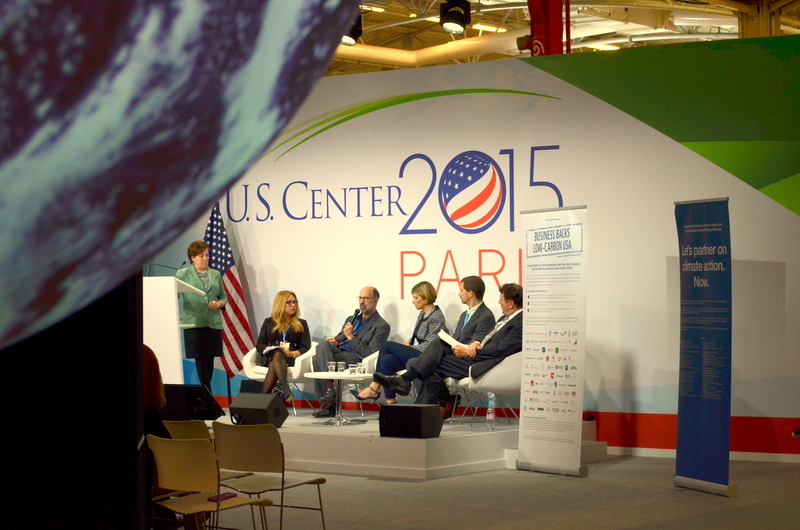 Triad Business Journal, where I was executive editor from 1998 to 2011, posted my first story from Paris and COP21. The story is here. Here’s an excerpt: The business leaders’ message was consistent and clear: Climate change in the form of drought, more frequent and erratic storms of greater intensity, and rising sea levels, is costing them millions, disrupting their supply chains and damaging their investments. Mostly, though, they each stressed the economic opportunities lost in not transitioning more aggressively to renewable energy sources. This entry was posted in Environment, Triad Biz and tagged Climate change, COP21, Facebook, global warming, Letitia Webster, Mars, Paris, solar energy, VF Corp., wind power on December 7, 2015 by Justin Catanoso.